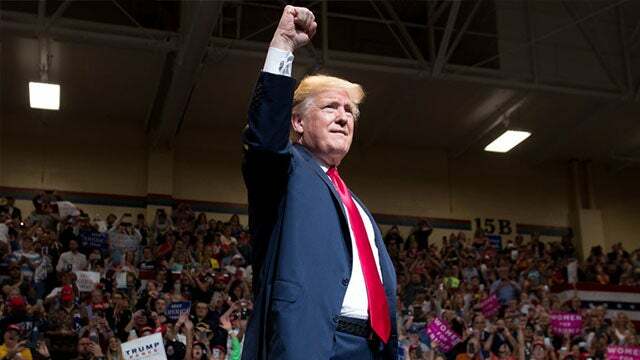 RUSH: Donald Trump had a major, major victory over the ChiComs this weekend, calling a ceasefire in what everybody thought was gonna be an automatic trade war. The ChiComs blinked. And that’s really all you need to know. And it’s just another in the pro column, the accomplished column for Donald Trump. And, you know, these rabid, these insane, unhinged leftists are being hit by a tsunami of achievements of this administration. They are drowning. They’re being overrun. And they don’t know it. Maybe some of them do. I’m telling you, they’re gobsmacked. And it takes me back to a story from last week that I’ve been eagerly holding onto. It’s by Andrew Sullivan. Obama’s legacy has already been destroyed. And that’s true. And it wasn’t really that hard to do because Obama’s legacy had no roots! I’ll explain all that in greater detail. And I’ve gotta share with you aspects of the Mark Penn piece today, stopping Robert Mueller to protect us all. It’s great.